A massive part of successful weight loss is eating the right foods; if you don’t eat right, your diet won’t be a success. Check your calorie intake – are you eating more than you should be? As a guideline, woman should be having 1,200 calories a day when aiming to lose weight, and men 1,800. So if you’re having more than this, it might be worth recalculating what you are eating. Instead of eating three large meals a day, split your food and eat a few smaller meals. This will not only keep you full throughout the day, but it will also help to boost your weight loss. Studies have shown that while eating the right foods are important when it comes to fat loss; exercise is even more crucial. 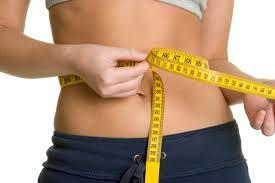 Dieting tends to reduce fat around the organs, instead of fat under the skin. While exercise, will help to get rid of that stubborn fat for good. It’s also important that when you exercise, that you don’t do more than 30 minutes at a time. By swapping from three 60 minute workouts a week, to six 30 minute ones, you will burn more fat. This is because shorter workouts can be of a higher intensity, and so, you’ll burn the extra pounds more quickly. If you’re struggling to lose those last few pounds on your own, it might be a good idea to get some expert help. Sometimes, all it can take to get rid of that stubborn fat is a different way of doing things or a different treatment. The first step to take if those last few pounds won’t budge is seeing a dietician, who will be able to advise you on the best route to go down. Another option if you want quick results, is to seek advice from a cosmetic specialist. Thanks to advancements in modern technology, most fat reduction treatments can be performed non-invasively. This means that there is no scarring or risk. An incredibly popular treatment for getting rid of stubborn fat is fat freezing, as it can be used to target just your problem area. Whereas many other treatments can’t be as precise. Losing those last few pounds is never going to be easy, for success it takes discipline. If you want to get rid of those stubborn areas of fat once and for all, you need to be strict. It might be hard work being strict with yourself, but if you want to get rid of those last few pounds, that’s what you need to do. That cream cake might look delicious, but ask yourself, is it really worth it? If you want to reach your target, then no, it’s not worth it. Stubborn fat is always going to be hard to get rid of, but by taking on board some of the advice above, you can get rid of those last few pounds for good.